Album Review: Dear County, "Low Country"
Around two years ago, Popdose introduced you to Arrica Rose, lead singer of Arrica Rose and The… their album Wave Function. 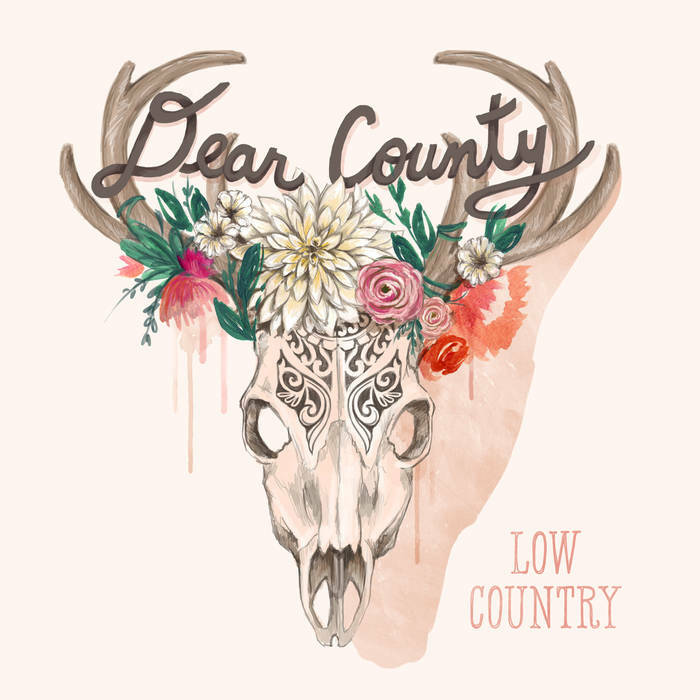 Now she’s back again with a new band, the predominantly country-oriented Dear County and their debut album, Low Country. Co-led by Mark W. Lynn, this band mixes that country feel with a semi-heavy approach, tempered with Ms. Rose’s rich vocals. Low Country is in essence, a fresh slant on retro styles, balancing the raw and more ethereal. From the moment you listen to all of the opening track, “On And On”, with Ms. Rose’s yearning vocals and the rich harmonies that prop up the strength of the singing, you know this band is definitely on to something good. There’s something immediately embraceable about the melancholy feel of the music; “Oh My Darlin'” follows this spirit in a classic, almost late ’50’s-type of arrangement (listen to it and you’ll know exactly what I mean) and “Losing Leaves” is slow, sad and atmospheric, with its delicate guitar figures and mournful guitar strums. Interestingly, the band’s version of Neil Young’s “Everybody Knows This Is Nowhere” is pretty stellar and accurate – yet, it has a bit more liveliness than the original. “All I Regret” is the most textured track, with its reverbed guitar and I think is the album’s highlight – again, sad, wistful but simply lovely and moving. Which this album does in total – it moves you. If it doesn’t, you don’t have a heart. I would hope that this isn’t a one-off side project but an ongoing thing. This collective of very fine musicians have gifted us an excellent piece of consistent work. Low Country, in my opinion, is of high quality and worth high praise.